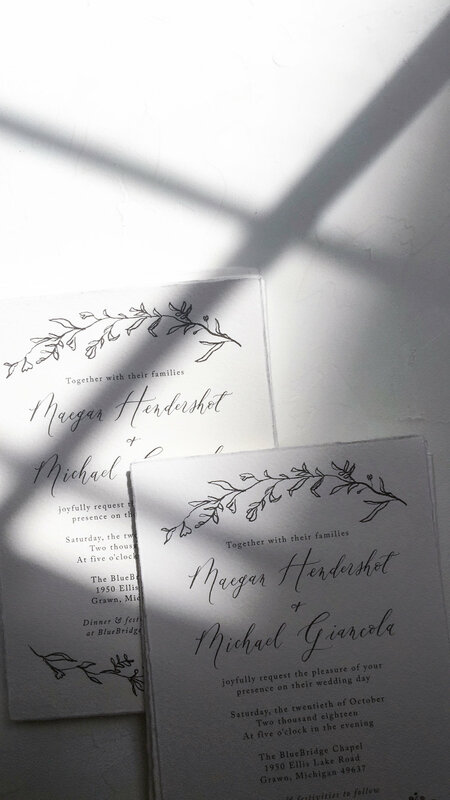 An organic invitation suite that combines flowing script with hand-drawn leafy garlands. Printed on your choice of card stock or deckled paper. 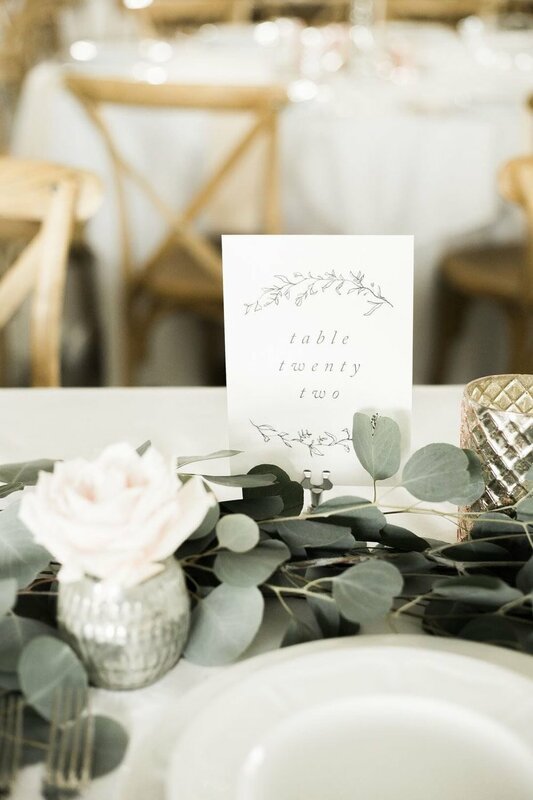 As this is a semi-custom suite, the overall design layout, illustrations, and format are fixed, but wording, calligraphy, and paper stock can be tailored to your special day.